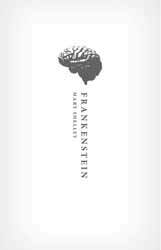 What more is there to say about Mary Shelley’s Frankenstein except that it is a true literary all-time classic. Not only is it believed to be the first proper horror novel, but it is jam-packed full of moral dilemmas – the foremost being who is the true monster here, Frankenstein or his creation? Medical procedures are also put under the spotlight, as this was the time that ‘playing God’ was the accusation against new and inventive processes. Everyone should have a copy of this novel on their bookshelf. It’s a solid release, with explanatory notes marked by regular asterisks (which I find a little distracting). Every new publication of this ground-breaking work should be celebrated. It could have been improved by binding it in leather and making the cover design more attractive, but you can’t have everything.